If you follow this blog, you should probably know by now that I have been working with my mentors to contribute to MoinMoin EventCalendar macro, adding the possility to export the events' data to an icalendar file. 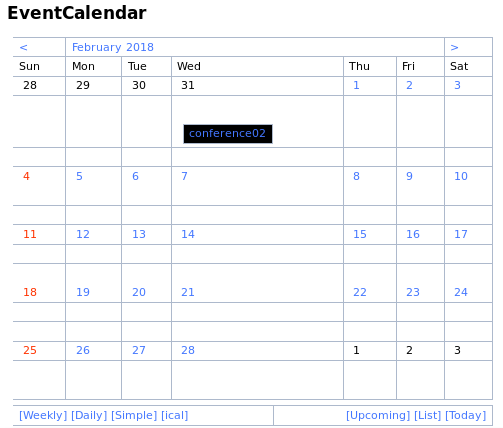 The code (which can be found on this Github repository) isn't quite ready yet, because I'm still working to convert the recurrence rule to the icalendar format, but other than that, it should be working. Hopefully. This guide assumes that you have the EventCalendar macro installed on the wiki and that the macro is called on a determined wikipage. 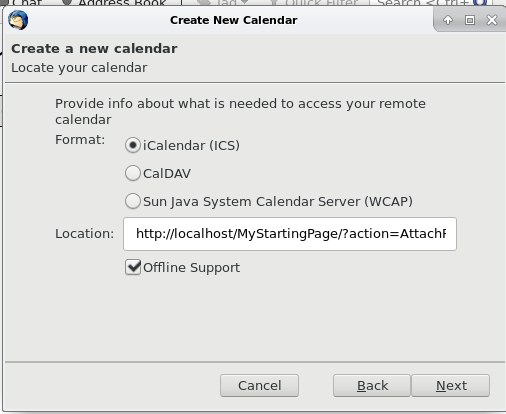 The icalendar file is now generated as an attachment the moment the macro is loaded. I created an "ical" link at the bottom of the calendar. When activated, this link prompts the download of the ical attachment of the page. 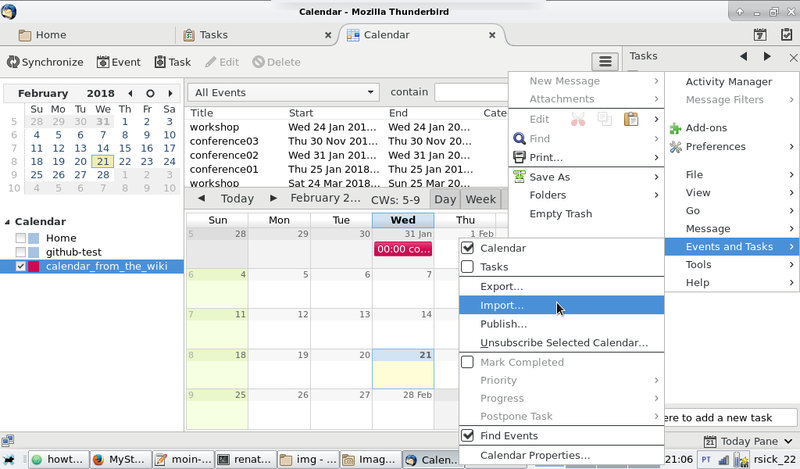 Being an attachment, there is still the possibility to just view ical the file using the "attachment" menu if the user wishes to do so. 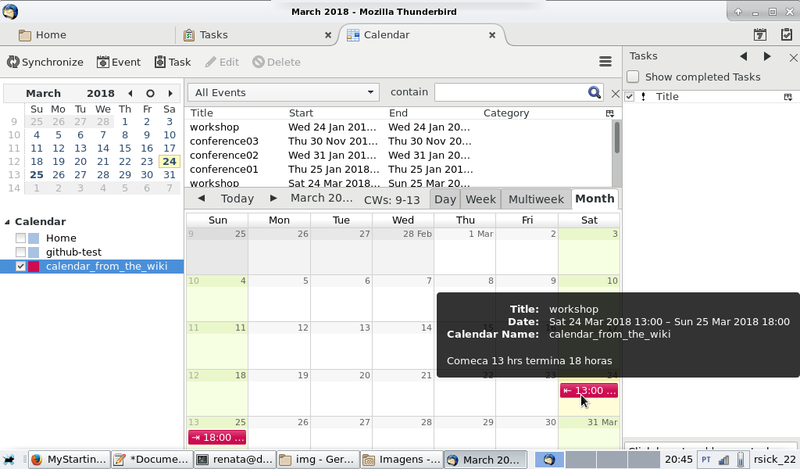 There are two ways of importing this calendar on Thunderbird. The first one is to download the file by clicking on the link and then proceeding to import it manually to Thunderbird. I noticed a few Wikis that use the EventCalendar, such as Debian wiki itself and the FSFE wiki. 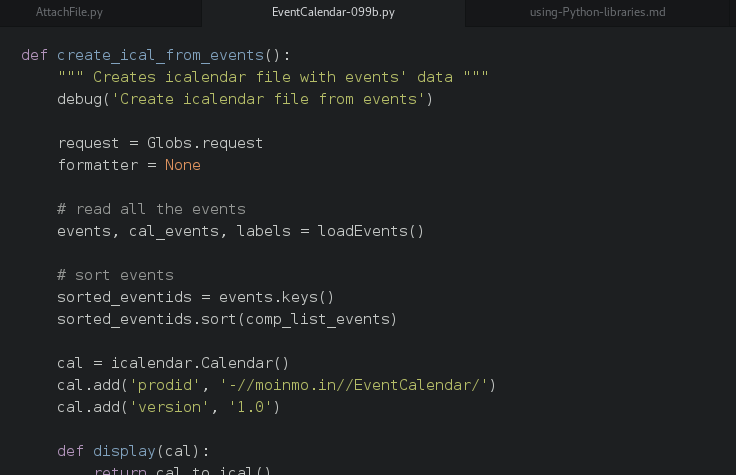 Python wiki also seems to be using MoinMoin and EventCalendar, but it seems that they use a Google service to export the event data do iCal. If you read this and are willing to try the code in your wiki and give me feedback, I would really appreciate. You can find the ways to contact me in my Debian Wiki profile.